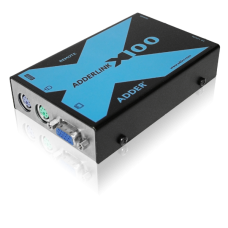 ADDERLink X100s have been designed for use in applications where keyboard, mouse, high quality video and audio needs to be extended no more than 100m (330ft) over category 5 or higher UTP cable. 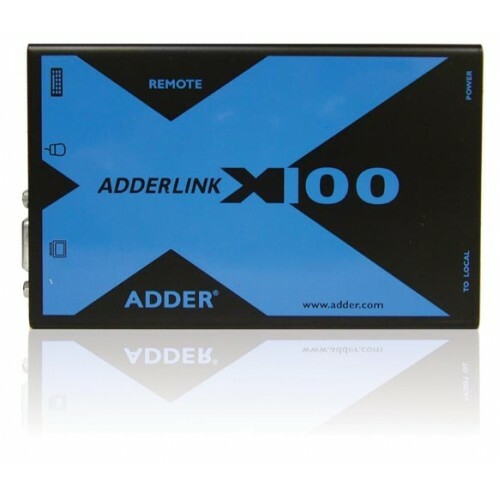 The ADDERLink X100s provide industry-leading video clarity, audio quality and compatibility. The ADDERLink X-100 applies signal compensation that allows for smooth and fine adjustments providing great video quality up to 100m. Unless an extender actively supports DDC some well known high performance video cards cannot be used at high resolutions. 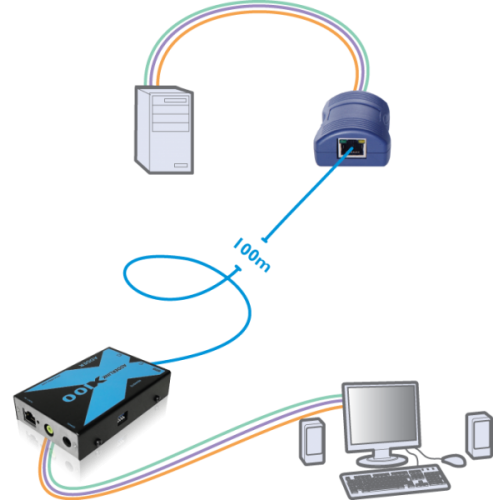 The ADDERLink X-100s fully support DDC. When using an X-100 pair to extend a CPU with a USB keyboard and mouse interface, it is ensured that the keyboard and mouse are continually emulated for maximum availability and essential functionality such, as country code reporting for Sun CPUs. The ADDERLink X-100s offer their own brightness correction to ensure images are crisp, clear and bright. Optional digital stereo audio delivers high fidelity audio for speakers. 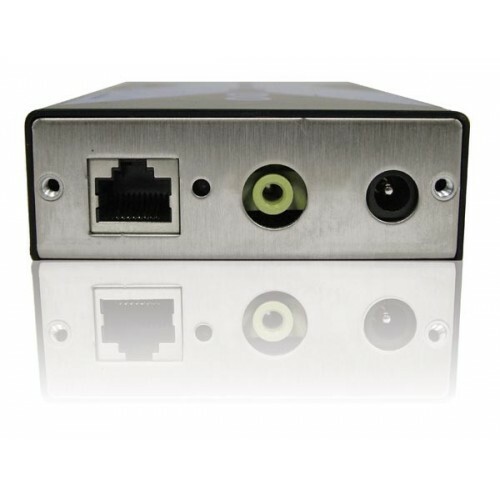 Supports any computer with PS/2 or USB style keyboard and mice, flat-screen and CRT style monitors with standard HD-15 video connectors and optional audio through 3.5mm audio jack.